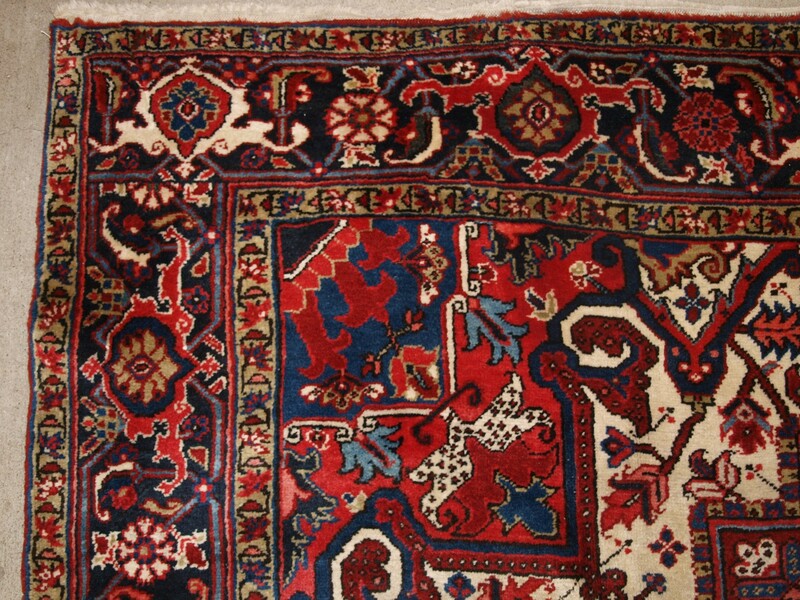 Antique Persian Heriz Carpet With Great Colour, Excellent Condition, Ideal Furnishing Carpet, Circa 1920. 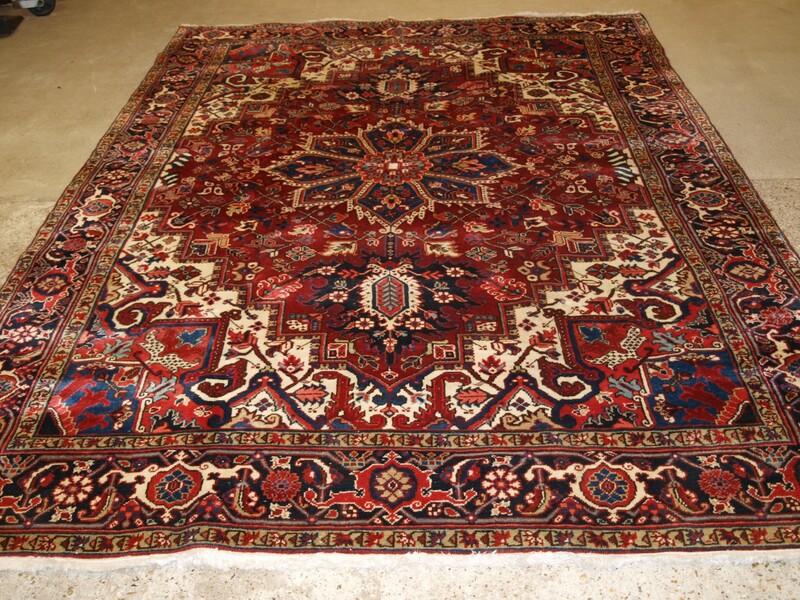 Size: 10ft 8in x 7ft 7in (326 x 230cm). 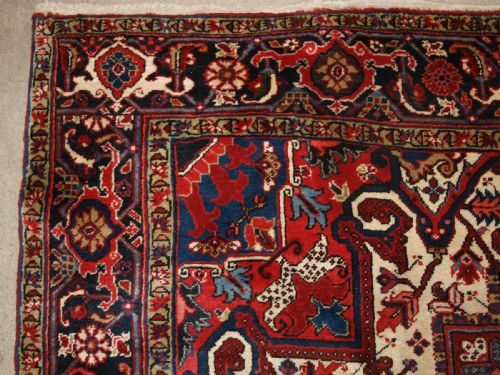 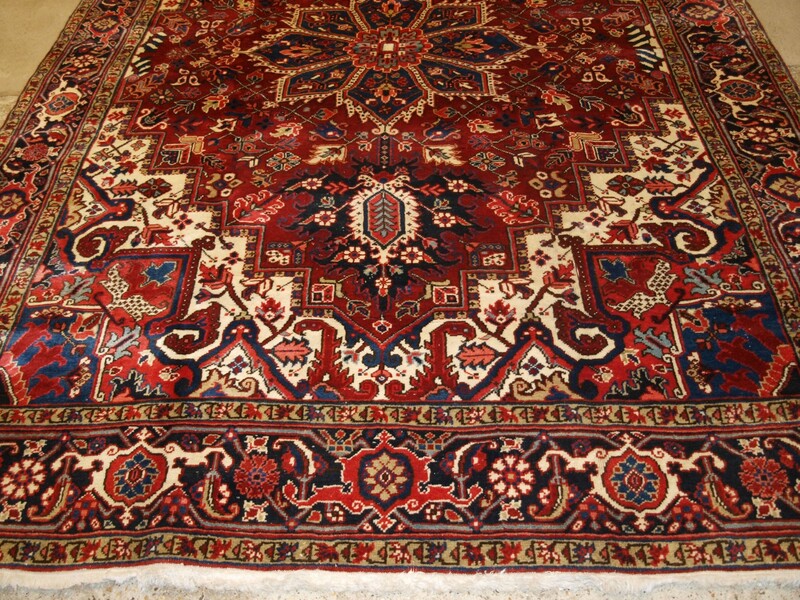 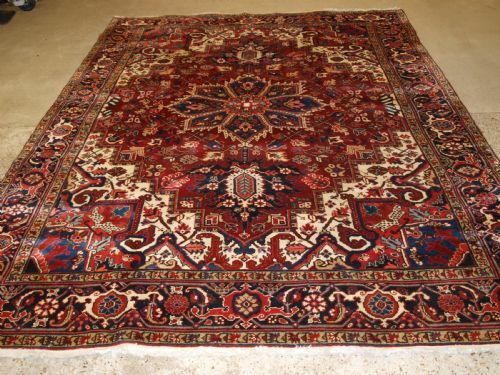 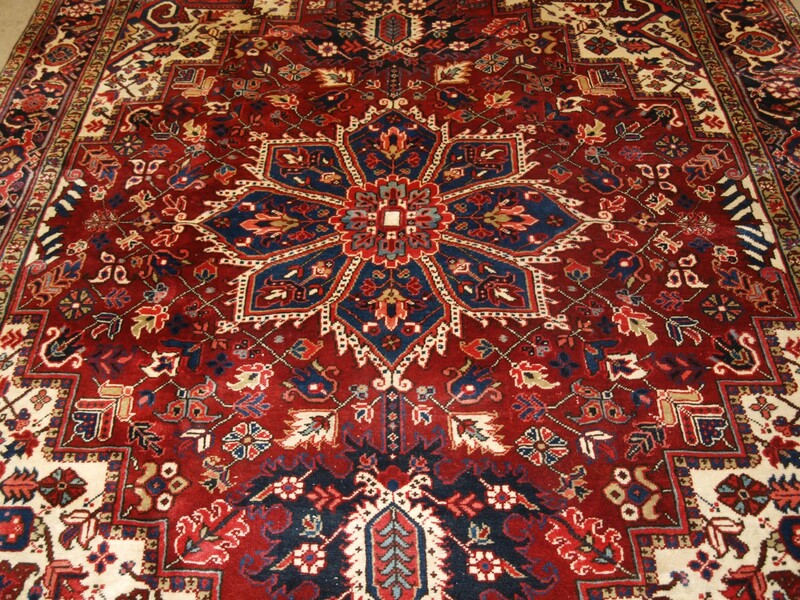 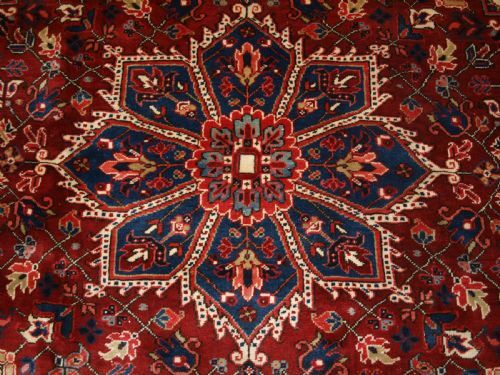 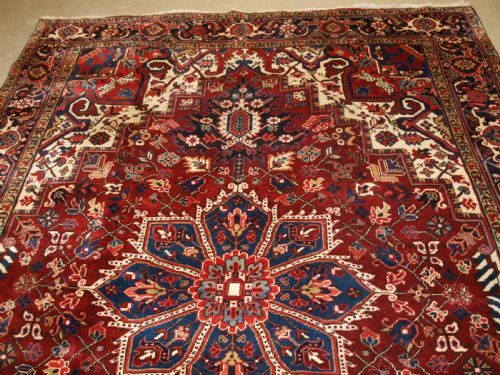 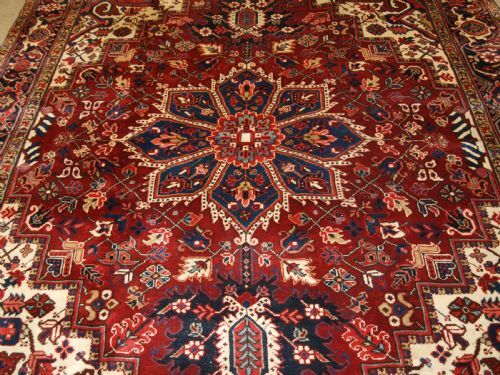 Antique Persian Heriz carpet with a traditional medallion design, very rich colours. 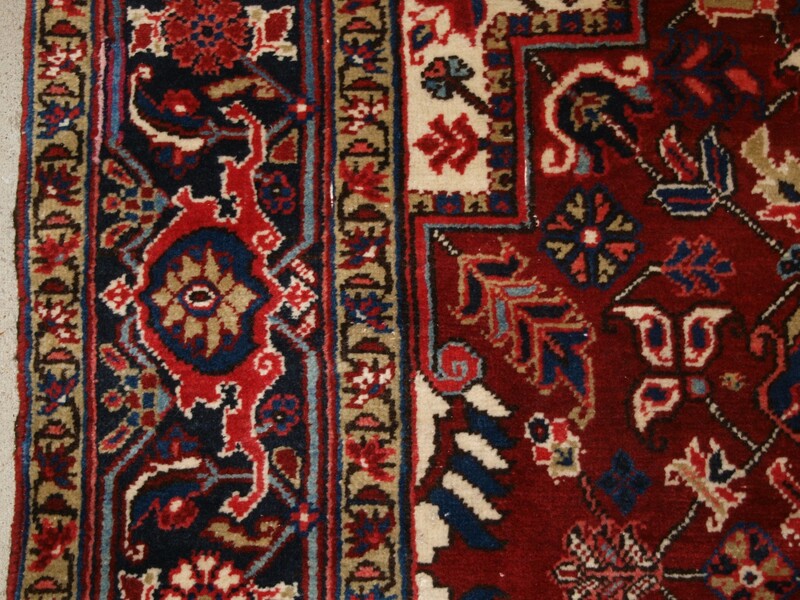 Classic dark indigo blue border. 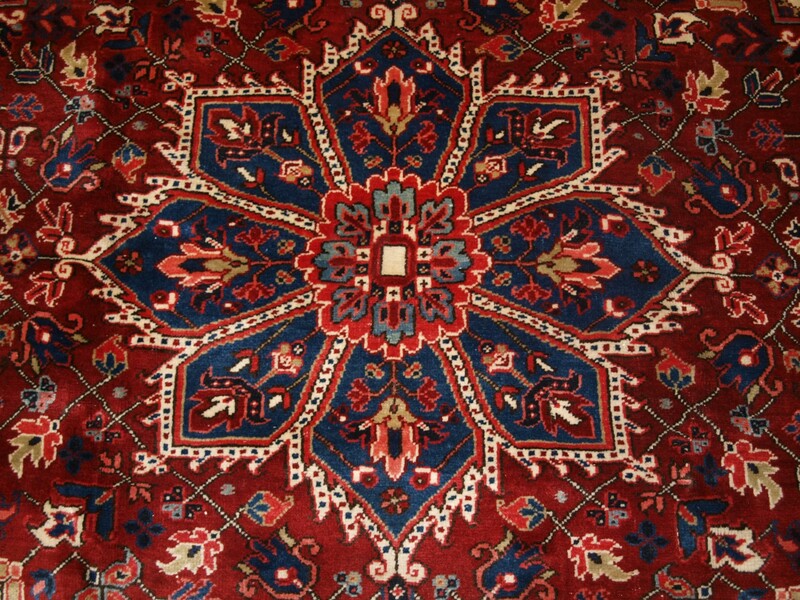 The striking central medallion in dark indigo blue contrasts well with the field. 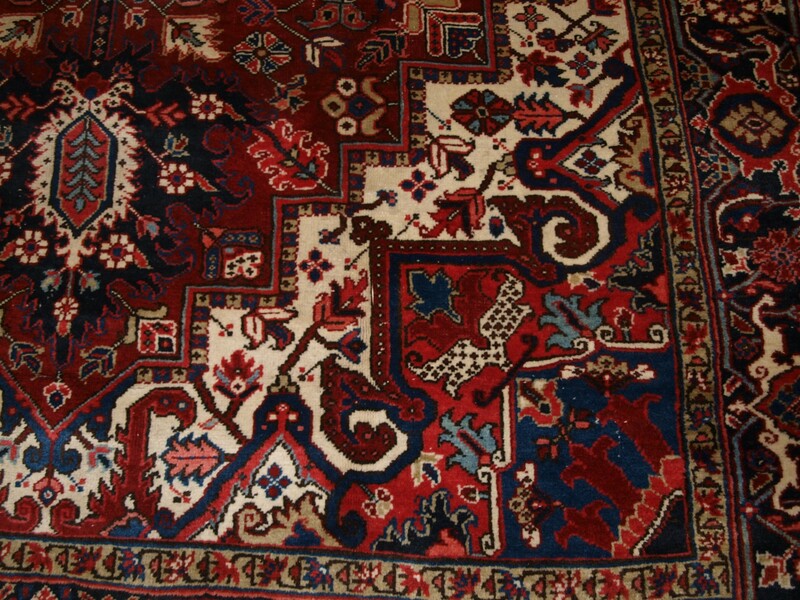 The Carpet is in excellent condition with good pile. 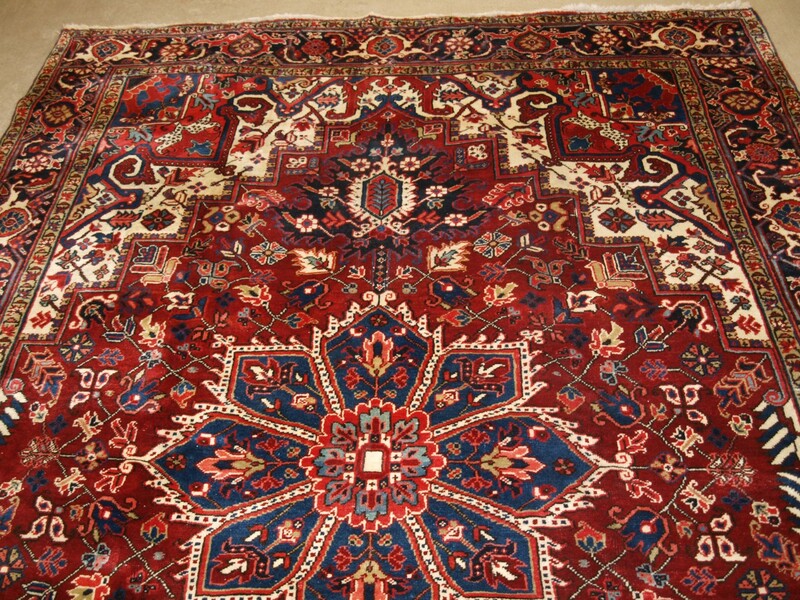 This is a very good furnishing Heriz carpet. 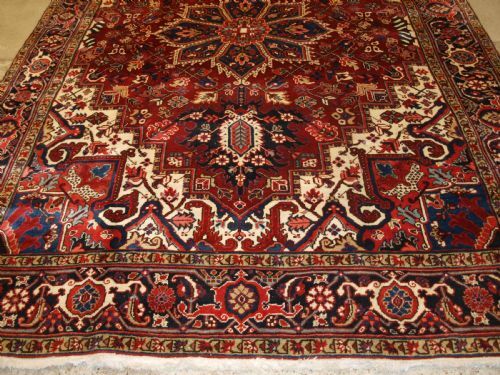 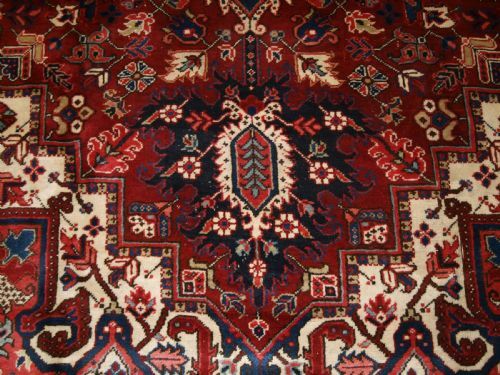 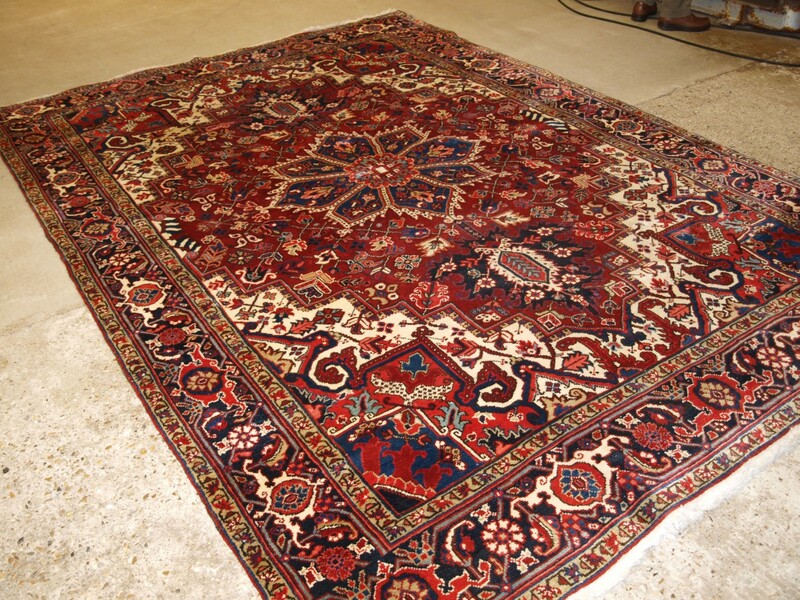 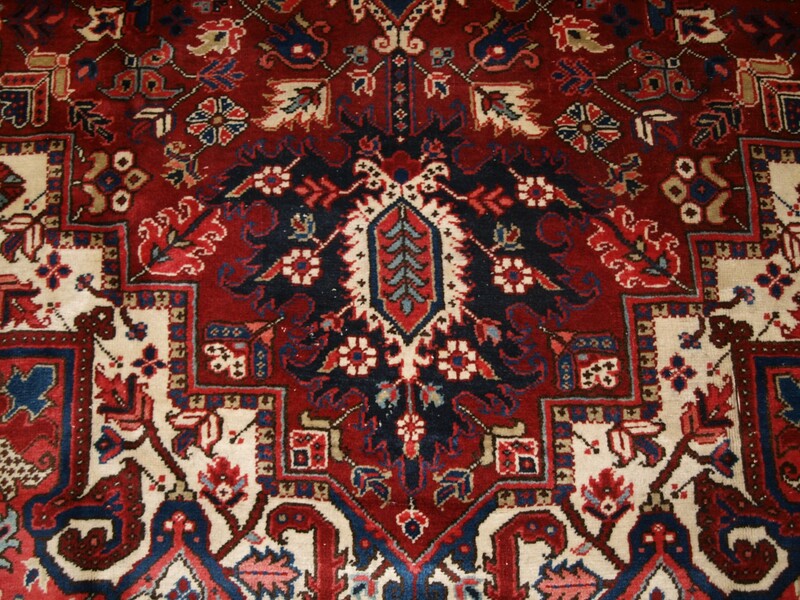 The ANTIQUE PERSIAN HERIZ CARPET WITH GREAT COLOUR, EXCELLENT CONDITION, IDEAL FURNISHING CARPET, CIRCA 1920. has been added to your saved items.